inMotion Gaming presents Reminiscence, a new series of articles covering the games of yore which made us the gamers we are today. Please join us as each member of our team takes a fond look back at the wonderful video games of yesteryear. I was a late bloomer when it came to playing video games. My dad seemed to think my brother and I weren’t ready for them, save for the occasional game on our computer. Most games I begged for were denied for the sake of my innocence. 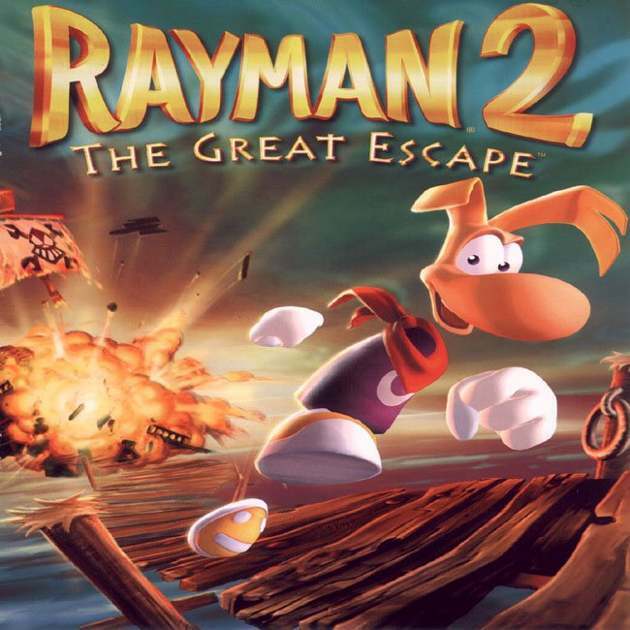 However, one of the games that I managed to get my dad’s “OK” for was Rayman 2 The Great Escape. It certainly wasn’t the first game I had ever played, but it was the first to open my eyes to the wonders and worlds that can be created in a game. Exploring Rayman 2’s fantastic world is one of the fonder memories of my childhood, and I vividly remember all the times I played way past the one hour of game time I was permitted a day, be it trying to beat the boss of a level, or trying to overcome a tricky platforming section. Even when I would get caught, it would always be worth it. My adventures with my favorite limbless hero took me to many different and unique places throughout the magical world he lived in. I was (and honestly, still am) thoroughly creeped out in the Cave of Bad Dreams, I marveled at the life-threatening temples, and I explored every nook and cranny to find all the lums. If I had to describe myself as a gamer in one word, I would say completionist. I can’t stand leaving something unfinished, uncollected, or unseen. Though these days most of my completionist energy is focused on trophies on my Playstation 3, back then I had to settle with just beating a game to say it was completed. I have to give Rayman 2: Revolution (the PS2 port of The Great Escape) the credit for unleashing the completionist monster I am today. Not only did it incorporate a way to spend the lums you collected to buy new abilities that I would have killed for when I played it on PC, but it also showed a percentage of game completion and had addicting minigames that when beaten, would give a nice little boost to your health bar. Needless to say, I thrived in this game that I felt was made just for me, pouring all my abundant free time into it until I saw that 100%, which I still keep as my own makeshift trophy on my memory card. I recently went back and played through Rayman Revolution. Rayman Origins being my inspiration, it had been years since I’d powered up my PS2 with the intention of playing through again. I was happy to find it aged very well, though I found it a bit overly easy throughout, I still experienced challenge in the minigames and the bosses. The nostalgia I experienced was off the charts as I remembered where secrets were, the weaknesses of bosses, and laughed at the characters I had come to love all those years ago when their goofy humor delighted me. 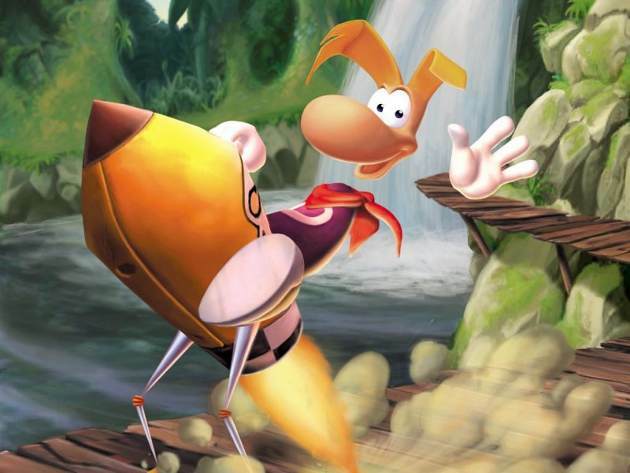 So after reflecting back to the two versions I’ve played through, and playing it again years later I’ve come to one logical, heartfelt conclusion: Rayman 2 is, was, and always will be the game that made me the gamer I am today, and I’ll never forget it, or my hero Rayman, who in my eyes is The Limbless Legend. Brilliant! I have a feeling that Reminiscence is going to bring back some fond memories! 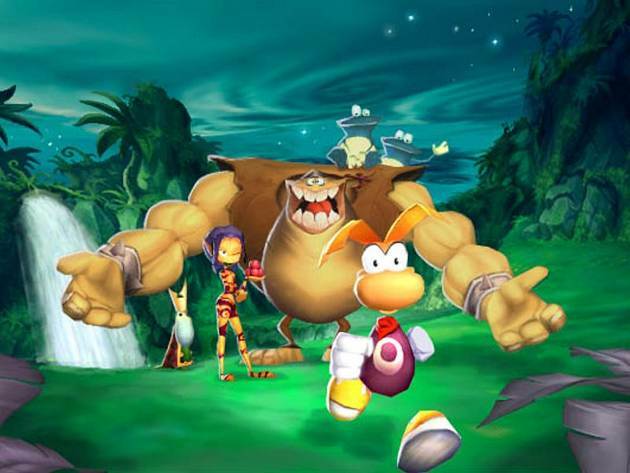 Rayman was one of the first games that I ever played on PC. I can still remember my mum calling up the Ubisoft call centre, because we had become stuck on a level, and asking them how we should get through it. These were the days where they would actually give you an answer and you didn’t have to wait for hours on the other end of the phone listening to hold music! I still have that game, though my old Windows 95 might be a bit worse for wear.